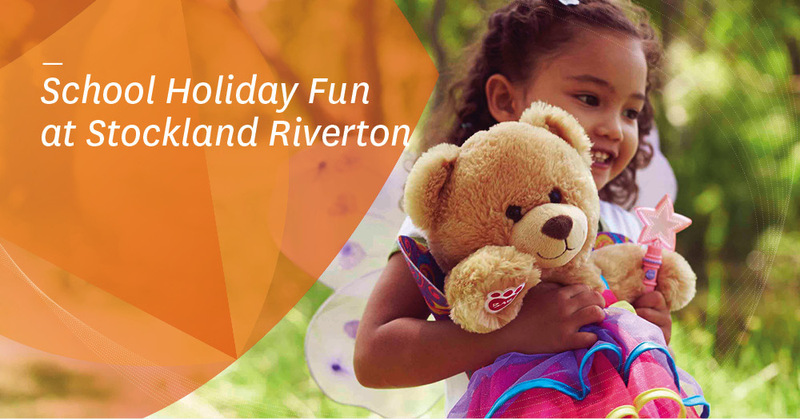 These April school holidays, children are invited to enjoy an interactive Build-A-Bear Workshop at Stockland Riverton for just $5 per guest! Plus all furry friends will receive a bonus FREE scent! Held on 23rd, 24th, 26th and 27th April, boys and girls can bring their very own Easter Bunny or Lil Cub to life by participating in a fun heart ceremony! All new furry friends will be pre-filled with just the right amount of cuddliness, and children can bring their Easter Bunny or Lil Cub to life by adding its very own heart and personal touches in the fun-filled, hour-long session. Each bear will also come with their own birth certificate and become an instant family member and a cub condo to take it home in! Please ensure you are punctual as all sessions will commence promptly at the stated start time. If you are late to a session, you may miss out on certain elements of the activity. There will be a limited, but equal allocation of styles available at each session however you are not guaranteed your first choice.